Combination Duck Call & Whistle Lanyard by Mendota. $12.95. "This is a necessity as far as I'm concerned." This is a necessity as far as I'm concerned. I'm surprised there aren't more available. My wife and I use them almost daily for retriever training. It's so handy to have both whistle and call instantly available without a lot of other paraphernalia around my neck. Good product. "I use the lanyard to control both my Garmin Alpha 100 and a whistle. Works great!" I use the lanyard to control both my Garmin Alpha 100 and a whistle. Works great! "Works great and is very comfortable." Works great and is very comfortable. Color blends in with most everything I wear. Well made for the price, will last many years and the look is classic. A good buy. "Perfect for hunt test/field trials." Perfect for hunt test/field trials. Worked great for Teal season. Easy to get my whistle or call as needed. It does exactly what I want it to do. Additionally, it's light and easily adjusted. I also liked the price. "Feels good around my neck and works as expected." Feels good around my neck and works as expected. Premium, solid-braid, multi-filament, UV-coated polypropylene cord lanyard by Mendota. 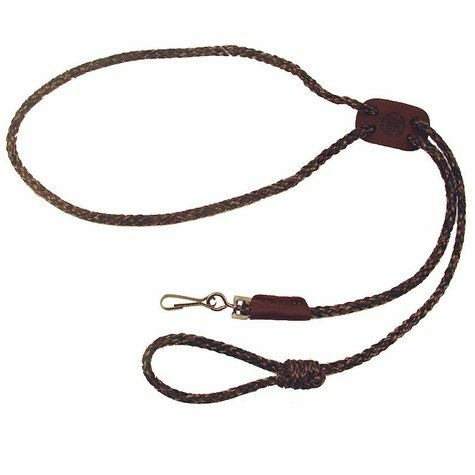 This high-quality lanyard can hold both your whistle and a duck call. Premium, solid-braid, multi-filament, UV-coated polypropylene cord lanyard by Mendota. This high-quality lanyard can hold both your whistle and a duck call. Made in the USA.